What is the cheapest way to get from Cologne Central Station to Burg Satzvey? 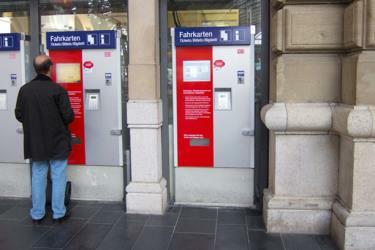 The cheapest way to get from Cologne Central Station to Burg Satzvey is to drive which costs 5€ - 8€ and takes 32m. What is the fastest way to get from Cologne Central Station to Burg Satzvey? The quickest way to get from Cologne Central Station to Burg Satzvey is to taxi which costs 95€ - 120€ and takes 32m. Is there a direct train between Cologne Central Station and Burg Satzvey? Yes, there is a direct train departing from Köln, Dom / Hbf and arriving at Mechernich, Satzvey Bf. Services depart hourly, and operate every day. The journey takes approximately 49m. How far is it from Cologne Central Station to Burg Satzvey? The distance between Cologne Central Station and Burg Satzvey is 40 km. The road distance is 48.4 km. How do I travel from Cologne Central Station to Burg Satzvey without a car? The best way to get from Cologne Central Station to Burg Satzvey without a car is to train which takes 57m and costs 15€ - 22€. How long does it take to get from Cologne Central Station to Burg Satzvey? 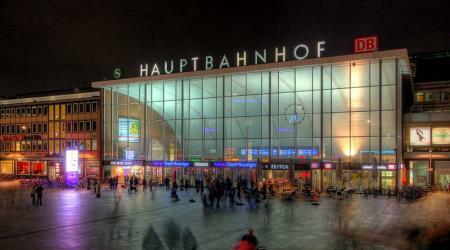 The train from Köln, Dom / Hbf to Mechernich, Satzvey Bf takes 49m including transfers and departs hourly. Where do I catch the Cologne Central Station to Burg Satzvey train from? Cologne Central Station to Burg Satzvey train services, operated by Deutsche Bahn, depart from Köln, Dom / Hbf station. Where does the Cologne Central Station to Burg Satzvey train arrive? Cologne Central Station to Burg Satzvey train services, operated by Deutsche Bahn, arrive at Mechernich, Satzvey Bf station. Can I drive from Cologne Central Station to Burg Satzvey? Yes, the driving distance between Cologne Central Station to Burg Satzvey is 48 km. It takes approximately 32m to drive from Cologne Central Station to Burg Satzvey. Where can I stay near Burg Satzvey? There are 366+ hotels available in Burg Satzvey. Prices start at 50€ per night. What companies run services between Cologne Central Station, Germany and Burg Satzvey, Germany? Deutsche Bahn operates a train from Cologne Central Station to Burg Satzvey hourly. Tickets cost 15€ - 22€ and the journey takes 49m. Phantasialand is a theme park in Brühl, North Rhine-Westphalia, Germany that attracts approximately 1.75 million visitors annually. The park was opened in 1967 by Gottlieb Löffelhardt and Richard Schmidt. Although starting as a family-oriented park, Phantasialand has also added thrill rides, especially during recent years. Furthermore, following the example of Europa-Park, they have decided to attract business customers beside the regular ones, calling it "Business der neuen Dimension" ("business of a new dimension"). Zülpich Castle or the Electoral Cologne Sovereign Castle of Zülpich (German: Kurkölnische Landesburg Zülpich) is the landmark and symbol of the town of Zülpich in the German state of North Rhine-Westphalia. Its origins may be traced to a Roman castrum. The present site was built in the late 14th century as a symbol of sovereignty and outpost of the archbishops of Cologne against the County of Jülich. Ordensburg Vogelsang is a former National Socialist estate placed at the former military training area in Eifel National Park in North Rhine-Westphalia. The landmarked and completely preserved estate was used by the National Socialists between 1936 and 1939 as an educational centre for future leaders. Since 1 January 2006 the area has been open to visitors. It is one of the largest architectural relics of National Socialism. The gross area of the landmarked buildings is 50,000 m2. Schloss Eicks is a mansion of Renaissance architecture located in the village of Eicks belonging to the town of Mechernich based in the district of Euskirchen in the south of the state of North Rhine-Westphalia, Germany. Rome2rio makes travelling from Cologne Central Station to Burg Satzvey easy. Rome2rio is a door-to-door travel information and booking engine, helping you get to and from any location in the world. Find all the transport options for your trip from Cologne Central Station to Burg Satzvey right here. Rome2rio displays up to date schedules, route maps, journey times and estimated fares from relevant transport operators, ensuring you can make an informed decision about which option will suit you best. Rome2rio also offers online bookings for selected operators, making reservations easy and straightforward.